Online and overseas shopping is complicated enough. Most frustrating of all, shipping your stuff can be even worse! The trick is knowing who to use and how to do it. 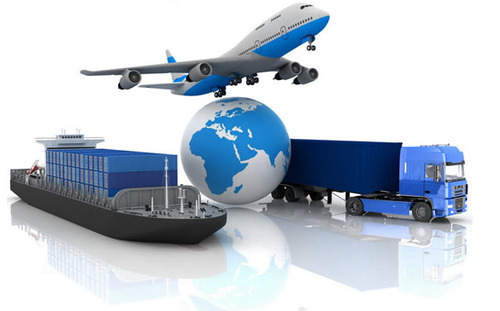 Getting the right international shipping services should not have to be a hassle. Each week we'll discuss different problems and solutions to international shipping and the specific services offered by HMHShip that make it easier on you. After years of experience in the shipping and international shipping industries, the founders of HMHShip decided to provide services to make it easier. By developing a logistical network that allows the cost of shipping to remain low, HMHShip is able to ship your packages internationally more easily. By offering you with business and personal solutions to your shipping needs, here you will quickly find how HMHShip can help you. Small business owners need packages properly shipped internationally which can be very difficult. A multiplicity of obstacles arise. For instance, many US companies simply don't ship products to Europe, South America, Asia and other regions of the world. Some don't even ship outside the country at all. The hurdles around shipping internationally are numerous and in most cases, can be expensive to overcome. First of all, dealing with borders, customs, and costs get in the way of effectively buying or selling goods in the US. Secondly, some companies don't even allow for the use of foreign credit cards or shipping addresses. This is where HMHShip comes in with the AssistUS Shopper program. Let HMHShip help you freely explore and purchase from the United States marketplace as you go about your day. Perhaps the best part of the services offered by HMHShip is that you don't have to sign up or commit. There's no long term contract or monthly fees. Should you want to ship continuously through HMHShip, there is always the PreferredPack system. With PreferredPack you can choose to pay in advance for a specified number of parcels to be shipped to you. Worry free. Essentially, PreferredPack becomes your reloadable gift card for shipping and shopping internationally. In conclusion, this blog won't strictly be shipping information. More importantly, we will also provide helpful tools and tricks to understand who and how HMHShip benefits individuals and business all over the world. From students abroad looking to buy favorites from home to international business requiring United States goods, there is a variety of ways HMHShip solves shipping needs. Find out more about various international shipping services and solutions each week here on the HMHShip blog. Use and share the information you find here. Learn more about how to make online shopping and international shipping easier, no matter where you are in the world. Furthermore, tell a friend and share the wealth! If you found this information beneficial, or if you know somebody who could benefit, please share via Facebook, Twitter, Google +, or Linkedin and spread the wealth. If you would like to add something or contribute to the conversation further, leave a comment below or on our Facebook, Twitter, or Linkedin pages.